Oscar Herrero - Concertist, composer and teacher of the flamenco guitar. Winner of the most prestigious awards given in the world of flamenco music. absolute pioneer of the flamenco guitar pedagogy. he taught and played concerts in Russia, Poland, Island, Israel, Italy, Egypt and more. He has a unique vision of flamenco music. Herrero put "string tie" on his guitars! Prudencio Saez, a Spanish luthier and one of the leading figures in world of guitar construction, is impressed by the revolutionary invention of String-Tie. David Broza - Has been considered one of the most dynamic and vibrant performers in the singer/songwriter world. His charismatic and energetic performances have brought to worldwide audiences, filling concert halls with his famous guitar playing. David Broza recommends the use of "String Tie"! 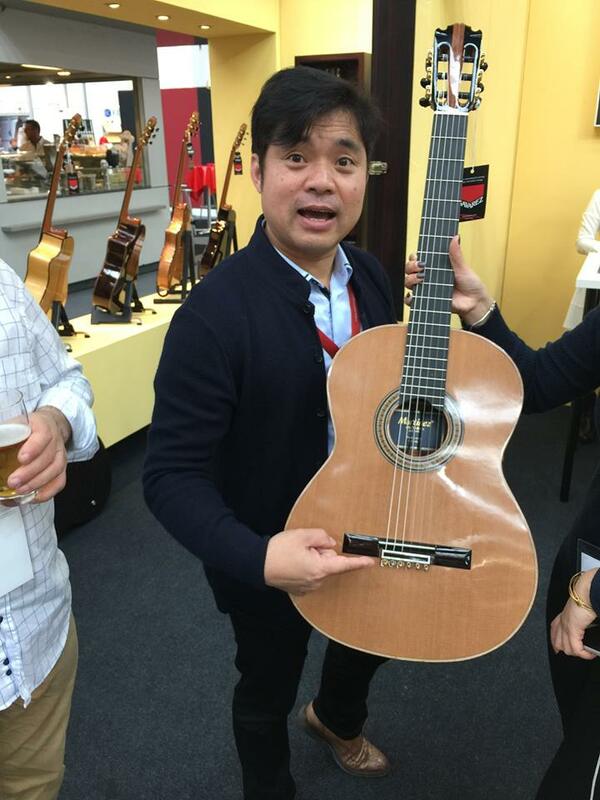 CEO of Martinez Musical Instruments introduces the new product he's just started to import to his country. Avi Singolda - By far one of the most remarkable Israeli guitarist of all times! He played with Ariel Zilber, Igal Bashan and since 1992 he started to work with Shlomo Artzi. Singolda recorded with Israel's most famous artists included Eyal Golan, Sarit Hadad, Arcadi Duchin, Arik Einstein and many more. Singolda also uses "String Tie" on his Spanish guitars!